At the core of any marital or romantic relationships is a foundation of trust, friendship, hope, and mutual understanding. When one half of a couple commit adultery, whether it was an emotional affair, physical affair, or both, the dynamics of the relationship will be forever changed. During a session of couple’s therapy, our expert counselors know firsthand how difficult and challenging it may be for the couple to seek professional help in the first place. Therefore, the initial sessions typically begin with processing the emotional states of both parties.A counselor will also help the couple set reasonable expectations for the recovery process because typically, there are no rules around how long it takes to recover. Each couple has different dynamics, backgrounds, and preferences which can influence the recovery process during couple’s therapy. When adultery is exposed, the betrayed individual will most often go through a state of shock and emotional trauma. Feelings of anger, rejection, shame, and confusion are the most common whether the betrayed was a man or a woman. The hopelessness and self-doubt that comes with learning that their partner has betrayed them can elicit a sense of loss, which can be felt both physically and emotionally. A loss of appetite and weight loss is to be expected, as well as emotional distress such as depression and anxiety. After the feelings have been realized, and a decision is made to commit to rebuilding the relationship rather than giving it up, a couple can expect the real work to begin. During this next phase of couple’s therapy, the counselor will help the couple examine the deeper issues that led to the affair in the first place. The restoration of confidence is a long journey that will require a lot of patience and understanding from both the betrayed and the betrayer. Our experienced counselors understand this and will do their due diligence to be empathetic to both parties during a session of couple’s therapy with our clients. Their position is not to take either individual’s sides, but to be focused on the marriage or partnership itself with a goal of moving forward. To establish trust in a relationship where there was adultery is challenging, but not impossible. The key is to help both parties feel safe to commit, especially so for the spouse that was betrayed. A counselor will work with the unfaithful partner to put action behind their commitment to loyalty again during their sessions in couple’s therapy, which is easier said than done. These actions, as Dr. Sheri Meyers suggests in her can include being open to talk about the hurt and disappointment from their spouse, or changing behaviors. It will be psychologically and emotionally stressful as the unfaithful partner will feel like they are being scrutinized and put under the microscope for examination. However, to earn trust again, complete honesty and transparency have to be present to restore confidence. Adultery, more often than not, occurs due to a breakdown of communications. A recent study has found, although not conclusively, that communication issues dominated the reason for a breakdown or divorces. Even though cheating does not necessarily lead to divorces, a lack of communication and willingness to work on the relationship will. Marital affairs are often lead by an absence of a healthy and open communication routine, which causes misunderstandings and confusion. As the sessions of couple’s therapy progresses, our counselors will stretch both parties to realize that a relationship after adultery just cannot move on without the challenging work of discussing and working on past hurts and self-doubts. The intimacy portion during couple’s therapy is usually the most challenging phase to work on for the betrayed spouse. Being intimate is the last thing they want to do after having been cheated on, but it is a vital section to work on for the couple. Many adulterers cite a lack of passion and intimacy as a reason for their infidelity. As such, it is essential that these deeper issues get worked on and discussed during the therapy sessions. The unfaithful spouse will also have to know that they will need to work extra hard at reassuring their partner that they are desirable, as it is vital to their partner feeling confident in being intimate again. Lastly, and most importantly, our therapists will help both parties to realize the level of responsibility and commitment they must make after their sessions at couple’s therapy. Even though we often have a perpetrator and a victim of adultery, both partners should know that they both had an inevitable role in the development of the marital affair. A key to a positive recovery process is for both partners to realize their personal responsibility to help their relationship thrive. It will require tremendous effort to repair and replace any harmful behaviors and mindsets they have about their marriage or partnership. The unfaithful spouse will need to own the mistake they made to cause devastation to his/or her relationship by accepting the consequences and work they need to do to repair the marriage. While the betrayed spouse will have to learn to live with the infidelity knowing that overcoming the experience can only make the relationship stronger in the long-run. 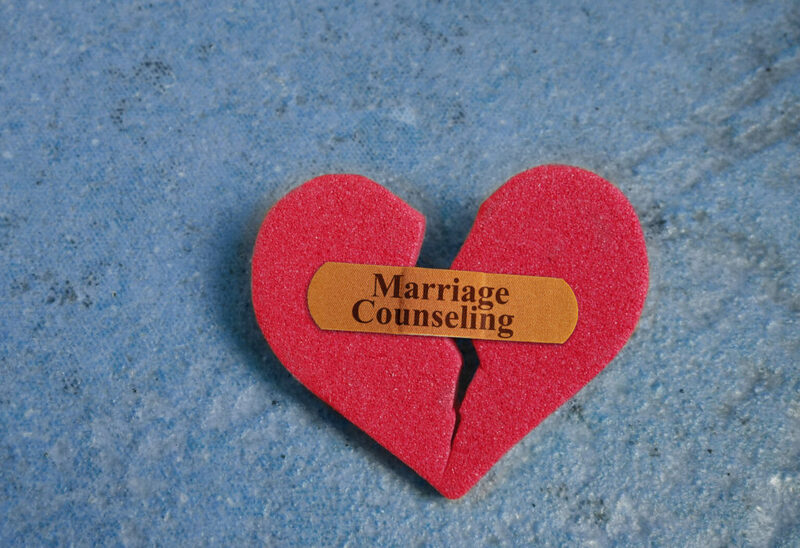 If you have yet to find a therapist in Houston to help you through a marital affair within your family, you can be assured that you are not alone and your recovery journey is a quick call away. You can contact us at the Grief Recovery Center for more info today.